Hyundai Motor India Ltd (HMIL) has announced the registration of over 38,500 bookings and 2,11,000 enquiries for the new Santro since its launch on 23 October 2018. The All New SANTRO is a true expression of Hyundai brand in India. The Modern Stylish Tall Boy Design, New Age Technology, Comfortable and Premium Cabin, All Around Safety and Performance of All New SANTRO has won the aspirations of Indian customers making it a trendsetter product. We are overwhelmed with the positive customer response and strong appreciation of the All New SANTRO. Going by the statistics provided by the company, the variants equipped with the in-house developed Smart Auto AMT contribute 30% of the total sales, whereas the CNG-fitted versions account for 18% of the total sales. The new Hyundai Santro is available in as many as nine configurations, with a mix of five trim levels (D-Lite, Era, Magna, Sport and Asta) and three powertrain options (petrol-MT, petrol-AMT and petrol-CNG-MT) to choose from. Recently, it came to light that Hyundai is having trouble to meet the overwhelming demand for the latest generation of the popular tallboy. Hence, it may pause bookings, though the company has said nothing on that. 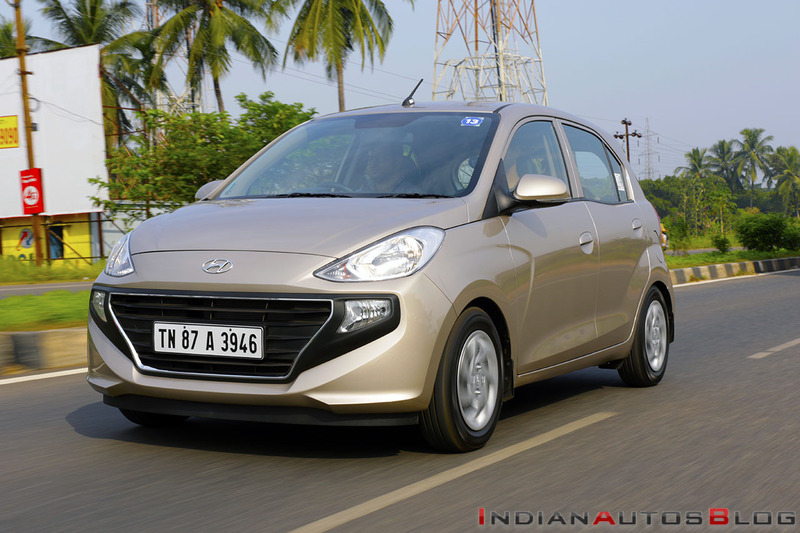 Last month, Puneet Anand, Sr. General Manager (Marketing), Hyundai Motor India, informed IAB that the exports of the new Santro will start around the advent of the next fiscal. The new model is manufactured at the company's Sriperumbudur-based facility off Chennai. South Africa will become the first international market for the new model, where it will be sold as the all-new Hyundai Atos. The Hyundai Santro is powered by a 1.1-litre four-cylinder engine that is available in two fuel options - Petrol and CNG. While both the versions feature a 5-speed manual transmission, the petrol version is available with an optional 5-speed AMT. The new model is underpinned by the company's K1 platform, which has been derived from the Grand i10's BA platform.